← Yes, It’s Very Clear! This is our goal, that the message of the gospel of God’s free gift of salvation would be received clearly and then to be just as clearly taught. I was also asked by the CFL board if CrossWay International would return and teach more topics once the Ebola virus is under control and we can travel throughout the region more openly. 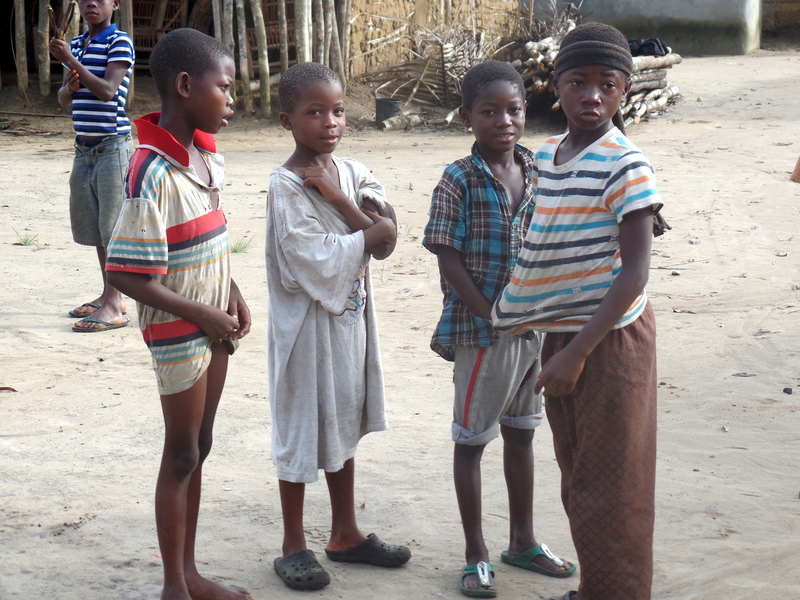 My prayer (and theirs) is that perhaps in March of 2015, we will return and teach over 300 teachers in Nimba county, the clear gospel of Jesus Christ and how to then share the message to the student whom they teach. One very large and restricting factor is that this type of large crowd training will be very costly since CrossWay funds the materials and the food for all in attendance. Please be in continual prayer about this opportunity for the gospel to spread rapidly and that it would be honored. On another note, we were finally freed up on time to deliver the remaining fifty sanitation kits and de-worm medication to a community quite difficult to get to by pickup. It was certainly possible but I’m sure my head hit the ceiling several times due to the poor road conditions. It was raining so we had to keep moving or we would have gotten stuck. Once everyone was gathered under the roof, it began to pour rain. It was so loud on the tin roof, even the man with the megaphone could not be heard. As the rain calmed a bit and the people settled in one place, the town leaders began to explain who we were and what our intentions were. Following this, Isaac stood and spoke about the buckets and how to mix the hand washing formulae and then he explained about the children’s medicine. 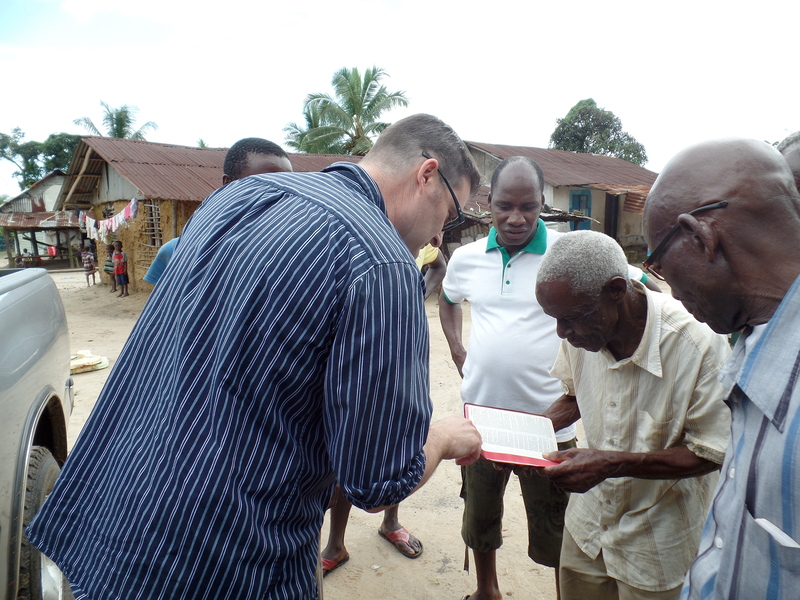 Once Isaac finished, he invited me to first speak to them from God’s Word before they would receive their bucket gift. Reminding them how important it was to keep clean on the outside to help reduce the spreading of the Ebola virus, I also reminded them that there is nothing we can do to wash away our sin. Only Jesus’ death and resurrection and one’s trust in that payment will purify us from our sin. The buckets will not last long, but the forgiveness of sin through Jesus’ death and resurrection lasts for eternity. Again, many, many put their trust in Christ alone! 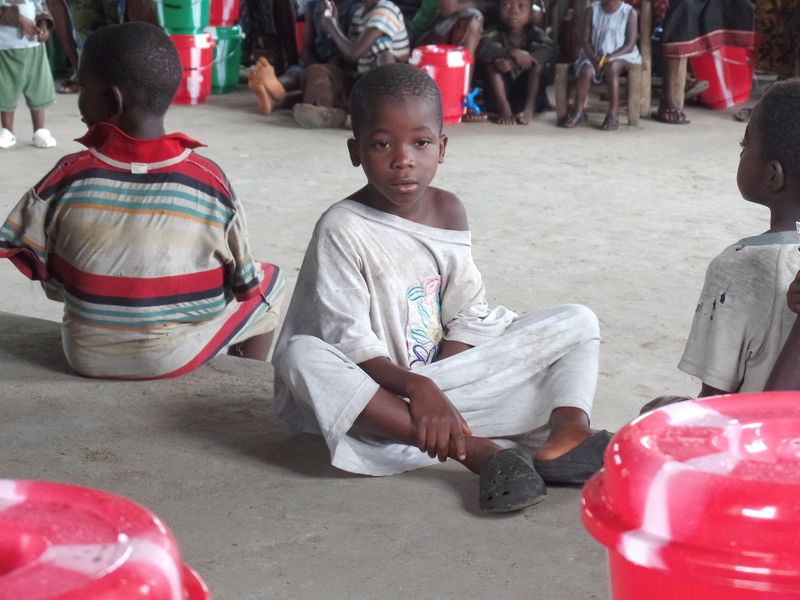 Children awaiting buckets and meds. We then distributed the buckets and medicine. The people were thankful and saw us off in a very nice way. Praise God for His goodness and compassion to the people of the world. This group desperately wants Bibles. Pray that God’s Word would be delivered to this community. Suggesting they read the Gospel of John to be reminded of God’s free gift of salvation. Many of you know my love for music and singing. I was invited to teach a song to the choir of the church at which I spoke last Sunday. I chose the song “Saviour of the World” by Ben Cantalon. It’s one of my favorites as it speaks about Christ’s death and resurrection. They learned it quickly and sang it with such expression. I had chills as they sang it out. So, now I pack up. Tomorrow (Friday here), I’ll be heading home. It will be a long trip with several stops and layovers. Pray that God would allow me to return safely home and that I will not be sick with anything. 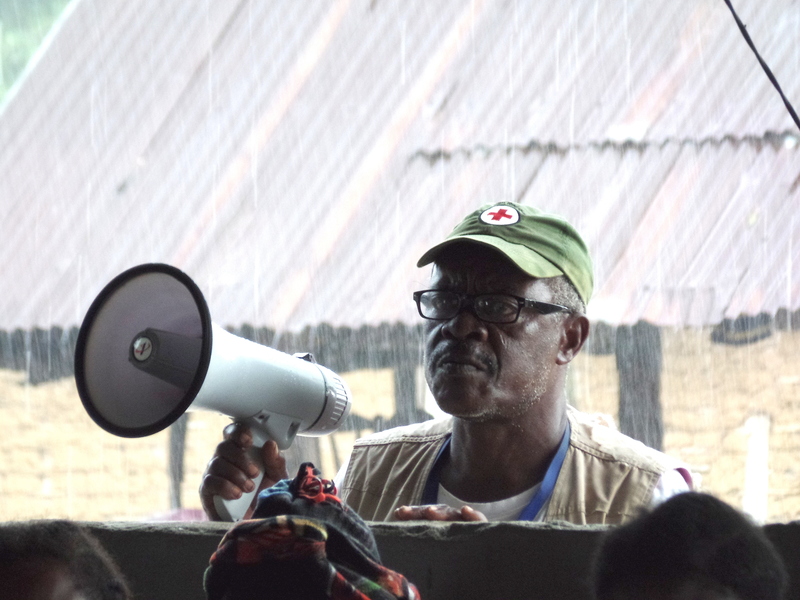 Thank you for praying for me and with me and for the people of Liberia.